While an auxiliary fence prevents tearout along the back edge of a workpiece, it doesn't help along the bottom face. 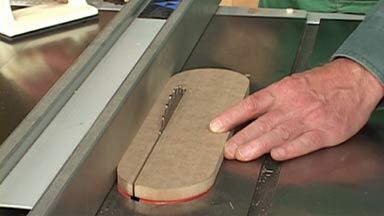 As the blade exits the bottom of the workpiece, the teeth can cause tearout — especially with the wide opening in most table saw inserts. If you need a clean cut along both faces of a workpiece, the solution is a zero-clearance insert.